Thailand is often said to have it all. More than anything else, however, the country’s natural wonders are the stuff traveller’s dreams are made of: who wouldn’t get excited about the prospect of fresh coconut juice, ivory beaches and clear ocean waters? Beyond the kingdom’s coastline – which stretches for a remarkable 1,660 kilometres – visitors can expect tropical rainforests home to exotic animals and otherworldly plants! More and more Thai destinations are now taking a stand to protect the country’s fertile ecosystems. Looking for environmentally conscious activities for your next vacation? Read on. This Phuket-based rescue centre is a great place for children to learn about wildlife conservation. 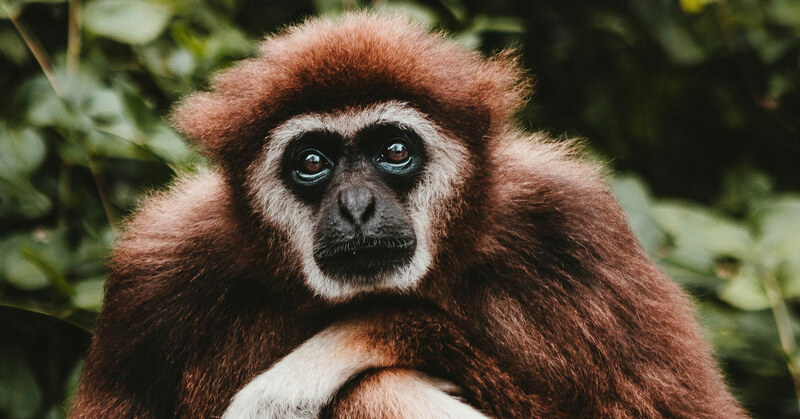 Opened in 1992, the GRP rescues formerly captive gibbons with the aim of releasing them back into the wild. Small primates are frequently captured to be sold as pets or touted at tourist hotspots, where unknowing travellers pay for a picture with the baby animals. GRP is the world’s only facility to successfully rehabilitate gibbons, thanks to a minimum of contact with humans: touching gibbons is strictly off-limits – though you could always adopt one and sponsor its care! The star on Thailand’s caffeine horizon is produced in the lush region of Chan Tai, outside Chiang Rai: Akha Ama coffee. Founded by villager Ayu Chuepa, who sought to improve the living standards in his hometown, the brand offers a unique experience to its cult following – a three-day ‘Coffee Journey’. There are no iced lattes here (sorry Queens!) but the highly stimulating trip will have bean-enthusiasts buzzing with caffeine, taking you from organic cultivation techniques to harvest. Along the way, you’ll learn about the villagers’ relationship with nature and support the local community in sustaining their trade: don’t miss this! Join the lovely folks at this conservation project to help restore Koh Tao’s magnificent coral reefs. Whether you spend a day, a week or a whole month here; there’s plenty to do underwater and you might find yourself transplanting corals to maintain artificial reefs, sampling water quality or caring for baby turtle hatchlings! Over 1,000 students with the required, advanced scuba license have already helped monitoring and restoring the local reef. Don’t have a license? New Heavens can sort you out – what better excuse to master diving? The residents of sleepy Khiri Wong village in Thailand’s South know a thing or two about living in tune with nature. Luckily for us, they welcome travellers to experience ‘that sustainable life’ with them during a homestay program. Aside from fruit harvesting, which takes place between July and September (our favourite time to visit), the program includes other exciting activities supporting the community: from mastering traditional crafts to exploring the nearby mountains with a local guide. Meanwhile, the excellent ‘Local Products Centre’ is an eco-fashionista’s dream, selling natural tie-dye clothing and jewellery made from regional minerals! Who says you can’t save the planet staying at a luxury resort? No hotel does sustainability quite like Six Senses, where guests are invited to regular beach and temple clean-ups. If you’re looking to get your hands dirtier still, stay with them before June 30, 2019, and you’ll be rewarded with a multi-day experience at a local farm: learn how to make bio cleaners, eco-friendly lemongrass straws and ditch emissions for a bike tour around the neighbourhood. Best of all, your last night’s accommodation rate goes towards helping the children’s ward at Koh Samui Hospital!